When did you last visit the Shewan Cartwright offices? 2015 was the year the renovators came to 27 Greenhill Road, Greensborough. 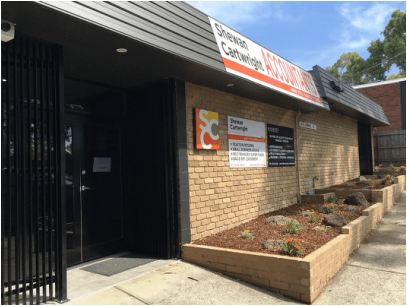 After more than 25 years of comfortably servicing the ever growing Shewan Cartwright team, the office building has finally had a much needed internal and external make-over. Aligned with the launch of the refreshed Shewan Cartwright logo and branding strategy, a team of experienced designers and builders undertook the renovation project. The new design needed to accommodate both client and staff requirements, whilst also provide a bright, modern and functional work environment. With the renovation now completed, we are pleased to be able to showcase and work within a building which services both the functional and technical requirements of a busy Accountancy practice.